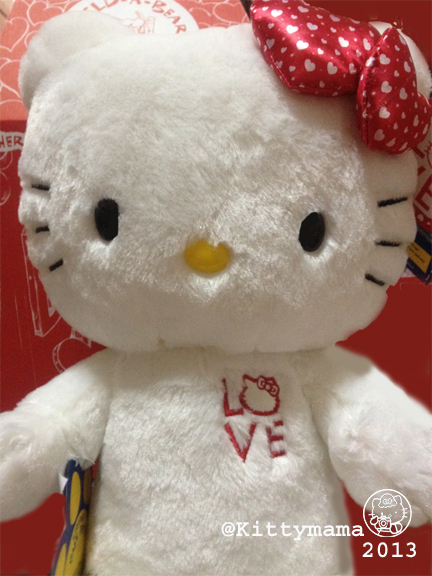 I’ve been having a little fun with my Sanrio Build-A-Bear dolls these last few days. I didn’t realize how many I’ve collected in almost five years, not until I had them all laid out for a group picture. My most recent acquisition arrived last week as one of three Valentine gifts from my husband. 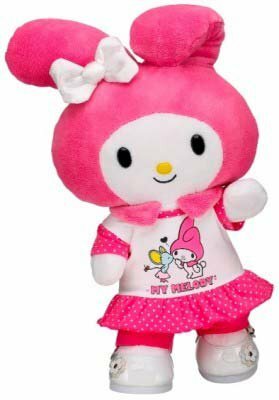 Although released in January in the US, Love Hello Kitty is perfect for Hearts’ Day as it screams “Will you be my Valentine?” from its dual heart bow, its Love “tattoo”, and red and white heart paws! I love you too, A♥! Now if you wonder if this craziness will ever stop, I hold Build-A-Bear USA directly responsible for this crazy obsession. They’re the ones who won’t stop making new ones! See you in March, Sunshine! Guess who arrived yesterday? Hmmmm… let me give you some hints. She’s tan, fluffy, and flurry! She has a red bow over one ear and a scented Gingerbread friend in one hand. She has gumdrop buttons in red and green on her chest and belly. Oh, she’s an absolute Christmas darling! 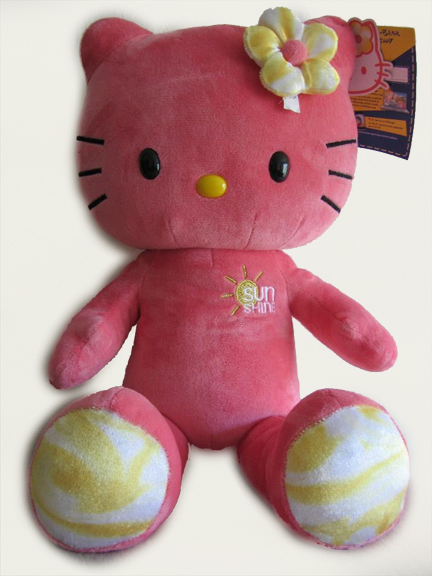 Well, Build-A-Bear went all out this year in its Hello Kitty plush craze, more than any time in the previous years since it started releasing Hello Kitty versions in 2007. This year alone, we’ve had three already- a red one for Valentine’s Day, a purple one for Easter and winky pink one in leopard print. 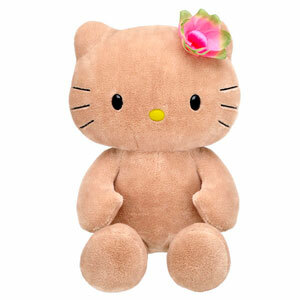 Personally, I love tan kitties best because they don’t get dirty easily and can stand more cuddling than the white ones. And with the cute buttons and holly on the ribbon, this one is perfect for making Christmas come all year round! 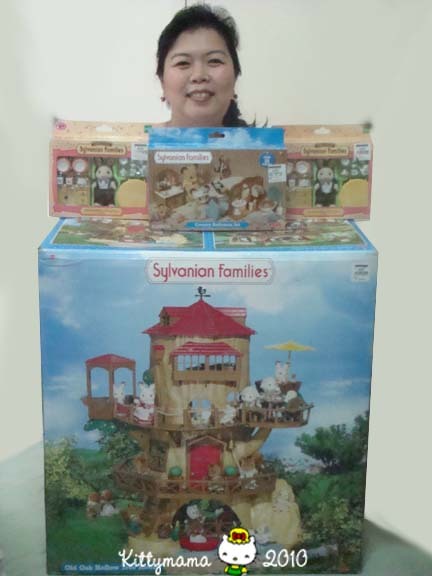 My childhood friend Auden, who is a lawyer in Singapore, bought these dolls the other day- one for me and one for her! ❤ She named them Audine (my BAB) and Jenny (hers), as these two are sisters for life, just like Auden and I are! Thank you, dear Auden! We’re not dressing them up because the gingerbread buttons will get covered, and it’ll be a waste of a good design (same reason why I didn’t get new shoes for the winky leopard one- her feet were already too cute!). Now, all I need to do is wait for this baby to come home. Already, it’s looking like a very cute Christmas! Guess Who’s Come to Stay? 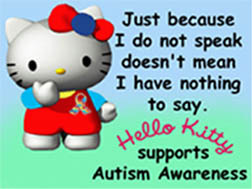 I told my friends Cynch, Allen, and Anna that I wasn’t going to buy any new Hello Kitty dolls, and when I told them that, I meant every word I said. 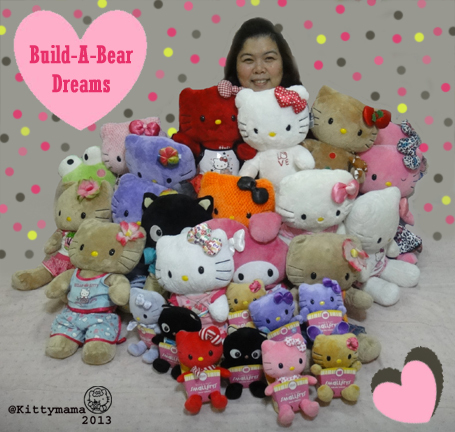 After all, I have enough Build A Bear Hello Kitty dolls (and her friends) to keep me company. How many more did I really need? because guess what came in the mail over the weekend? Meet Pink and Orange, my newest Build A Bear dolls. I thought I would hate them (I told Cynch that the patterns distract me) but I guess it’s true. Nothing given with love is ever unloved. So, distracting or not, these patterned, colored Kitties get a new mommy! Thank you, Anna, Allen, and Cynch for the wonderful time I spent with you. We should do it again soon. Hugs! I didn’t sleep too well last night. The bed felt too cramped and overcrowded. I could not find a decent position that allowed for REMs to come on. Besides, after bruising my arm and left knee from a hard fall the other day (I tripped on uneven ground and landed on one knee but the momentum pushed my head down till I almost scraped the ground with my face; luckily, my right forearm broke the fall), some parts of my body still feel sore. you sleep with all her friends too. 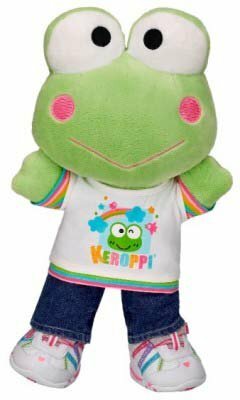 Three more days before the Sanrio Friends Build-A-Bear dolls become available and already, I am thinking of names for my new friends. 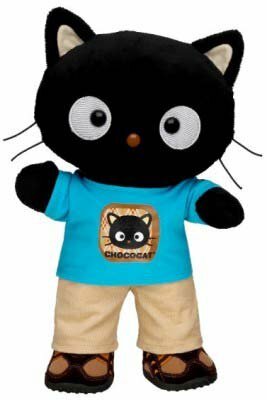 Naming BABs is a very personal rite, as my experience at the Build-A-Bear store has taught me. It may seem silly to many that the act of choosing, stuffing, grooming, dressing, and naming is an honored ritual among BAB lovers, but it teaches people, children, in particular, that value is a subjective experience and that even seemingly inexpensive things become objects of value with love. As such, all my BABs have names that are theirs alone. 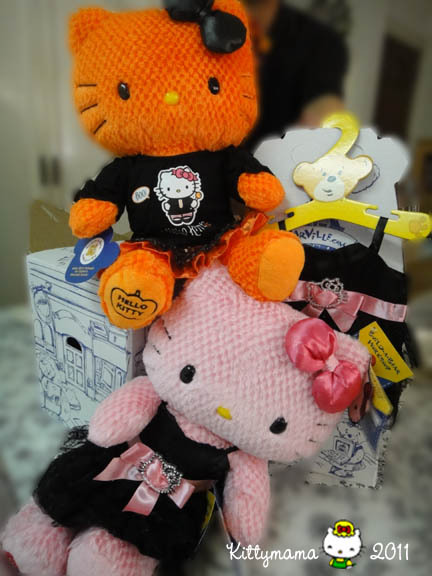 Take the case of the white Hello Kitty BABs. 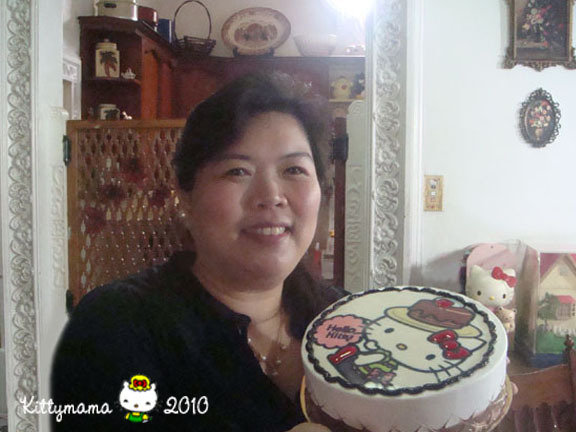 The original 2008 Hello Kitty, which was actually my second doll, retained her original name in my home, Kitty White. I didn’t think then that they would make different versions of her, thus, the seeming shortsightedness on my part. 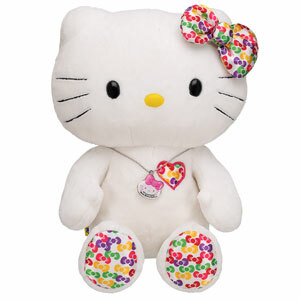 My second white Hello Kitty was christened Kitty Corazon, or Cory for short. The heart in her bow decided it for me, and I chose to name her in Spanish because she says “Te quiero” when you hold her hand. 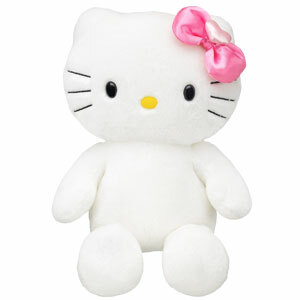 Last of the white kitties (for now), the 35th Anniversary Hello Kitty is called Kitty Christmas, or Chrissy, because she was a Christmas gift last year. 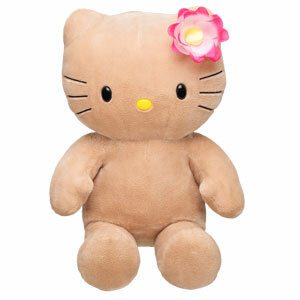 My Tropical Hello Kitty dolls (and I have two of them), on the other hand are Kitty Browns or Beeone and Beetwo. And because I got a third one only recently, she is the youngest of the Bees or Beethree. 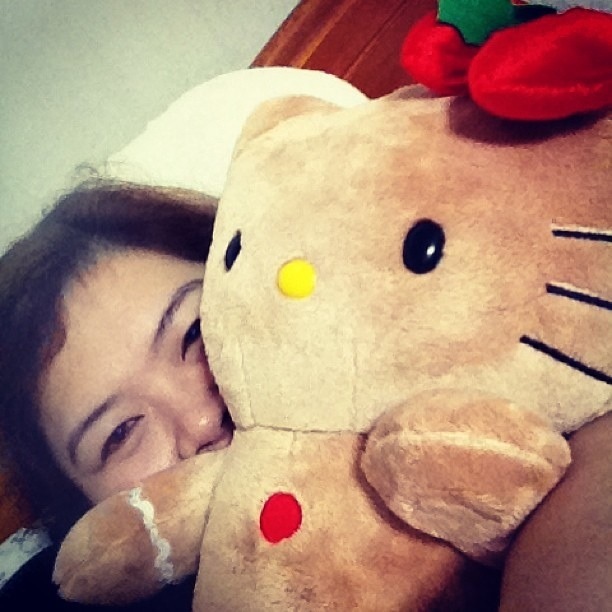 Still, my brain is taking a beating with My Melody. 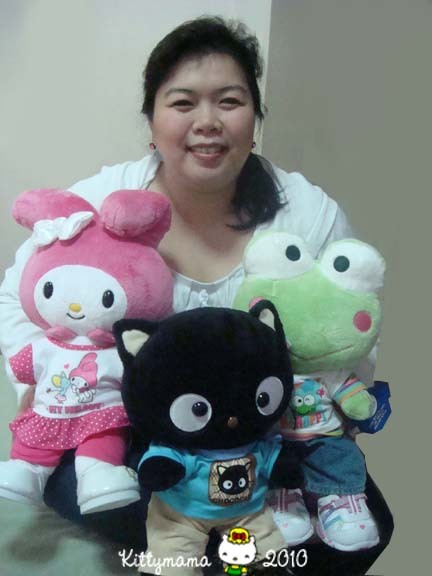 A recommends to keep it simple with the very unimaginative “My Melody.” But after exhausting my neurons with witty names for the Sanrio boys, how can I not do the same for the only other girl in the bunch? If you have any suggestions, friends, please tell me. I have a few more days left. 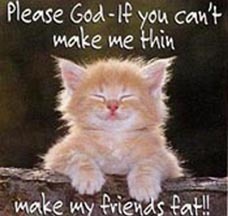 So, help, please! Name that tune, ehrm, Melody!